Happy Sunday! I was doing a major wardrobe clear out this month and came across this coat I had completely forgotten about. 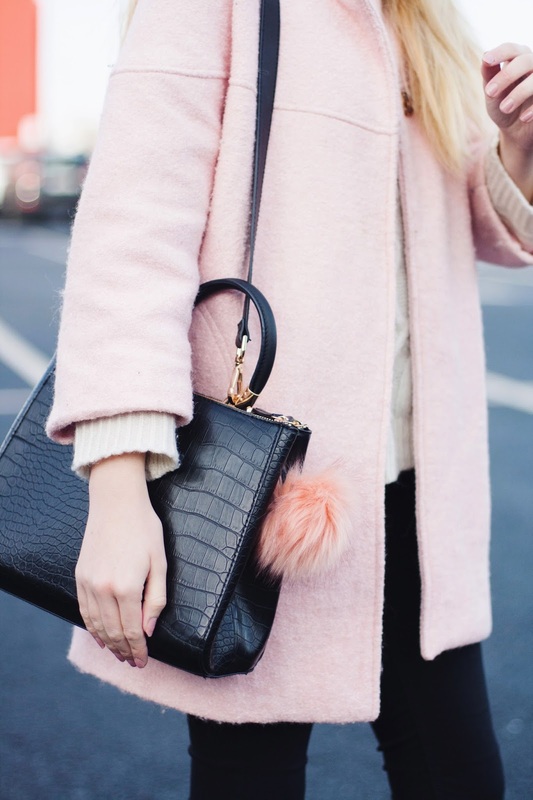 I got it from SheIn last year and since my pink coat obsession is at an all time high, finding it now was perfect timing! I've been slightly quiet on the blog the last few weeks, still trying to find the right balance between working and creating good content. I've been learning so much at my internship that I'm hoping to put into practice from now on here. Next weekend I'm going to Edinburgh so expect a tourist photo overload on my instagram! 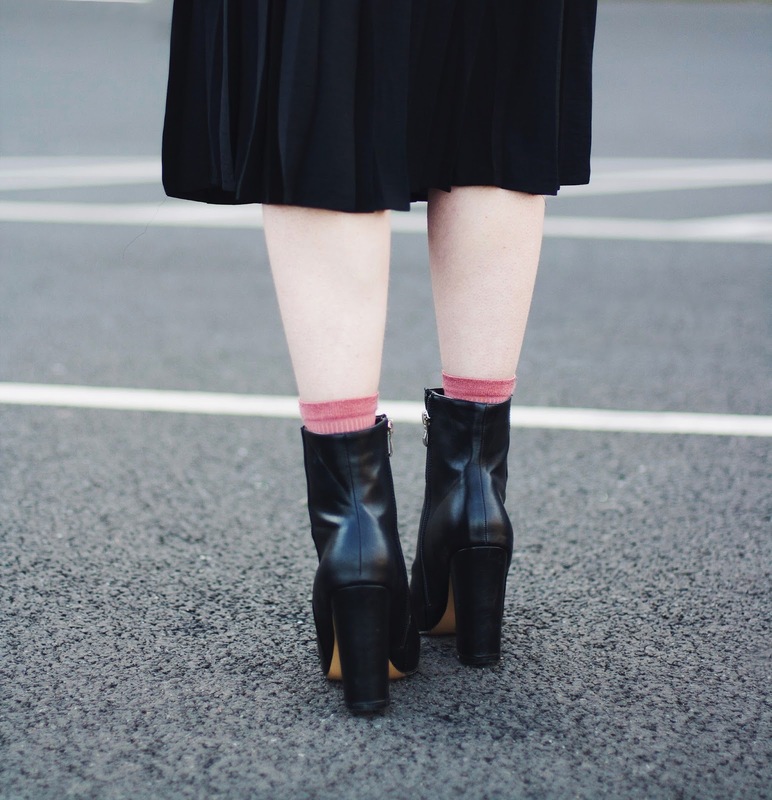 Outfit Post & a Little Update! Happy Saturday! I'm just wrapping up a very busy but exciting first week at my new internship with Dresses.ie. 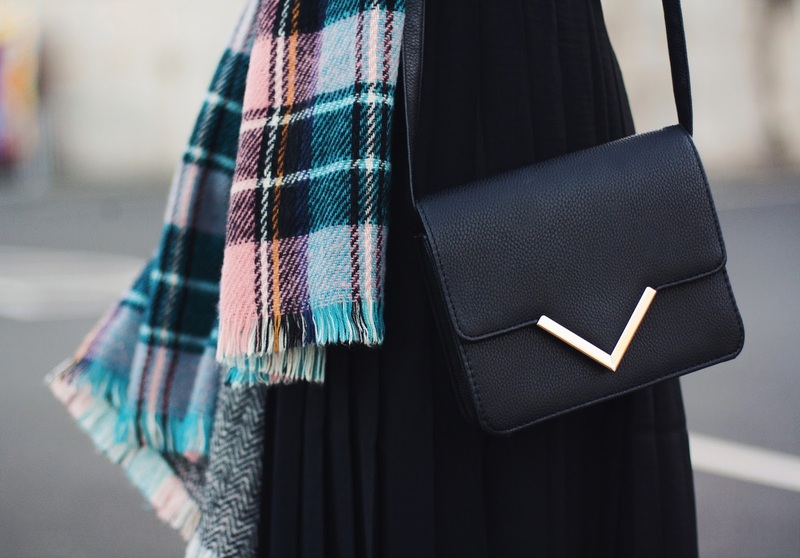 They're a fantastic fashion company that I've been following for so long and I'm really enjoying working together and learning about all the aspects that go into running a successful business. Week one was fab, I can't wait to see what the next few months will entail! As mentioned in my last outfit post, I'm really trying to get out of my habit of wearing the same outfits every day and experiement a bit more. I love pairing dresses with long sleeved tops because it's such a great way to get wear out of your strappy summer dresses and tops in winter. I picked this particular dress up in Penneys/Primark a few months ago, but this midi style is still around everywhere now. Also, if it wasn't obvious enough from nearly every other previous outfit post, yes I'm still obsessed with these Public Desire boots! 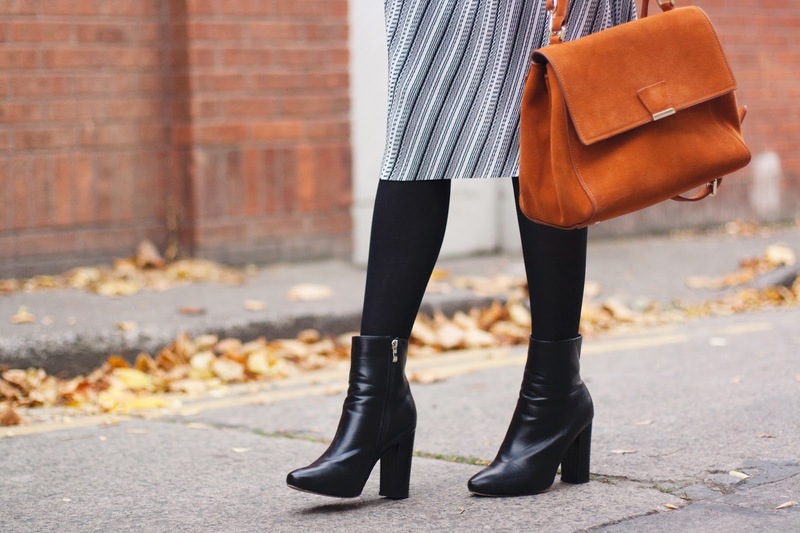 This winter, I really wanted to start wearing more skirts instead of constantly throwing on my skinny jeans out of pure convenience. I spotted this pleated midi skirt in H&M and loved it instantly! I like the dimension that the pleated detailing adds to this otherwise plain outfit. So easy to dress up or down and a new staple for sure! Very little else makes me feel as relaxed at the end of a long day than pampering my skin and putting on a face mask. 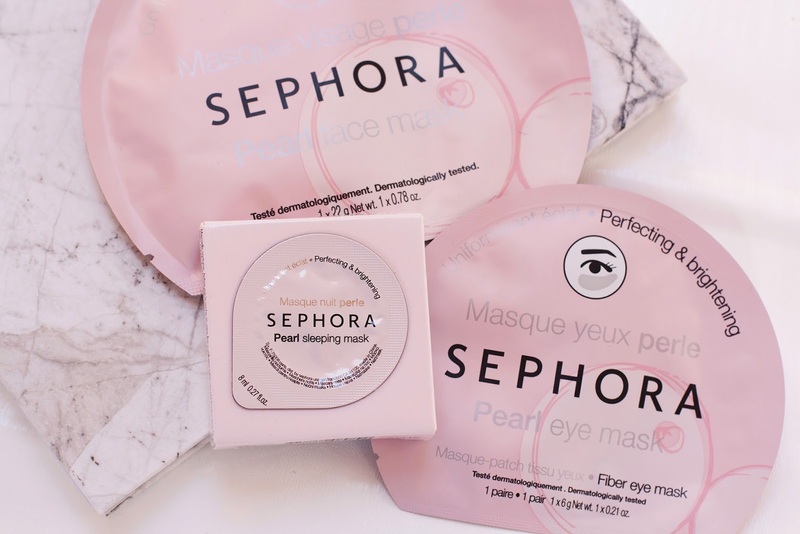 Recently, I was very lucky to have a friend nice enough to take time out from her holiday to pop into Sephora for me to pick up a few face masks to try! I'd never used any Sephora skincare products before and considering there is no store in Ireland, I perhaps impulsively, stocked up on a lot of different face masks. I was intrigued by the variety of masks that were on offer to target specific skin type needs and wanted to give them all a go. The first ones I decided to try out are from the Pearl collection, my likes and dislikes about each can be found below! If there's one skincare product I hoard in bulk, it's definitely sheet masks. It was only during a trip to Japan in January that I became a little bit obsessed, making sure I stocked up on every Etude House mask (the 'I Need You' treatment masks are still my all time favourite!) I could find before coming home. The collection has been growing ever since! At first I was weary of this one as I don't like to apply thick gels or anything that makes my skin feel sticky when I go to sleep. However, this sleeping mask felt really soothing and cooling to apply and sank into my skin really nicely without leaving a tacky residue. In the morning my skin felt deeply moisturised and soft to touch. As for it's claims to brighten the skin, I didn't see much evidence of that. Claims aside, it's a really lovely hydrating moisturiser and I got about 3/4 uses out of it. However, since I already have an all time favourite overnight mask (Origins Drink Up-Intensive), I don't see any reason to repurchase this one! Out of them all, I was most excited to try the eye mask and I'm happy to say it didn't disappoint! The mask comes in 2 small cloth sheets, designed to fit and apply easily into the contours of the eye. Once the mask is in place, you leave it on for 15-20 minutes, massaging any leftover excess into the skin once you have removed them. As someone who is very self-conscious of my purple/red under eye tones, I was delighted to see that when I took the eye mask off after 15-20 minutes the area looked ten times better! Any bags under my eyes were instantly depuffed and any redness was significantly minimised. My under eye area looked smooth and hydrated, giving an overall more radiant complexion to my face. This is definitely a great budget eye mask and one that would be perfect to apply the morning after a bad nights sleep for a fresh faced appearance. I'd repurchase this one for sure! 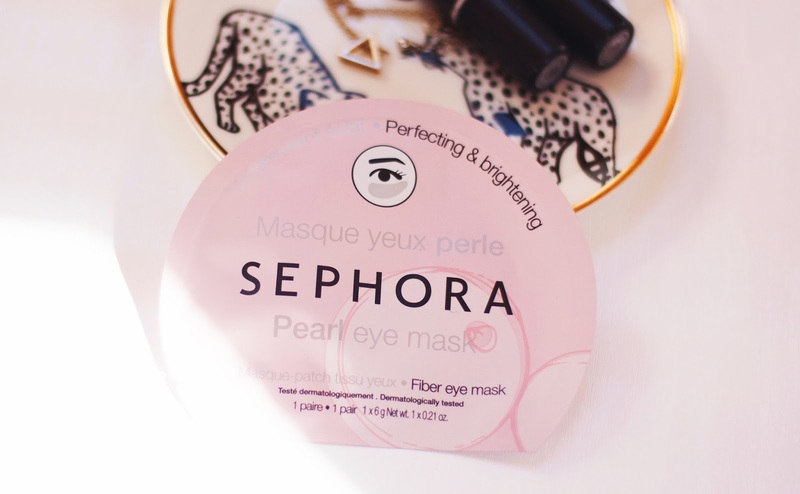 Hope this was helpful, I'll be trying out the other Sephora masks over the next few weeks!